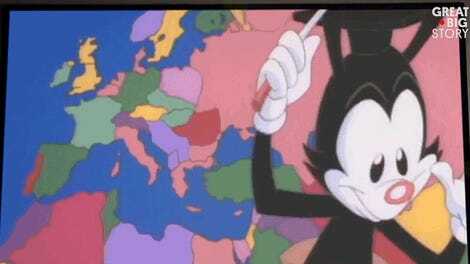 In an interview with CNN’s Great Big Story series last year, voice actor Rob Paulsen revealed that his memorable performance of “Yakko’s World” in Animaniacs was performed in a single perfect take. And in this video, 25 years after that song first aired, Paulsen performs a brand new verse that includes all the new countries of the world that have appeared since then. 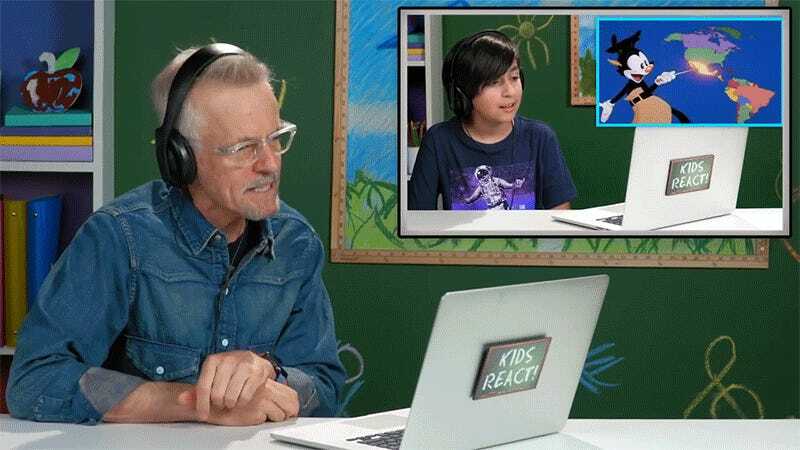 The performance appears in a new episode of the “Kids React” series featuring Paulsen and fellow voice actor Jess Harnell reacting to footage of kids reacting to old episodes of Animaniacs. Yeah, it’s a lot to wrap your head around, but what’s important here is that Randy Rogel, the writer responsible for the lyrics to the original “Yakko’s World” song, also wrote this new addition. The countries referenced in the new lyrics sound even more tongue-twisting than the original, but Paulsen breezes through them all with ease, and from memory, revealing just how talented a performer he really is.